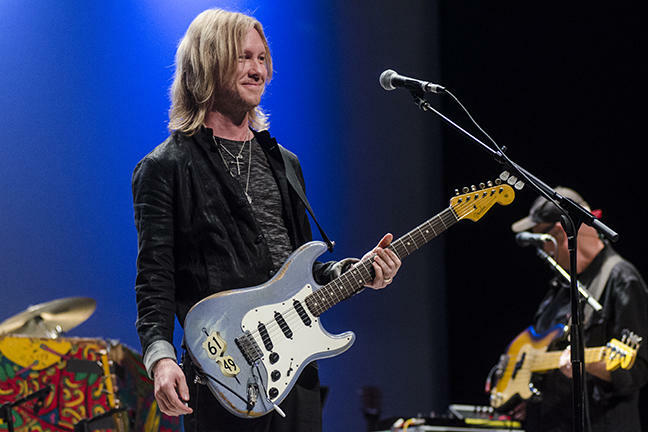 Kenny Wayne Shepherd Band performs on this week's episode of Mountain Stage. Kenny Wayne Shepherd Band - "Diamonds & Gold," live on Mountain Stage. This episode was recorded in Athens, OH with our friends at Ohio University and WOUB Public Media. You'll hear performances by Kenny Wayne Shepherd Band, Paula Cole, LADAMA, Matt the Electrician and Angela Perley & The Howlin' Moons. Find a station in your area here.